A shih tzu poodle mix is a cross between shih tzu and poodle dogs. It is also known as a shih-poo dog. Shih tzu dogs are affectionate, playful and have a stubborn side. You may not get your way in a battle of the wills, but when you look at that cute face it probably won't matter! They're active and have an average intelligence. Be sure to exercise and play with them every day. Get them up and moving around. These are small dogs and not good for families with young children. They're better for families with grown kids. This dog's poodle parent will be either a toy or a miniature so they will be smaller dogs. 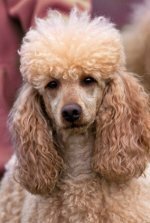 The color of your dog will vary depending on the color of the poodle parent. These mixed breed dogs are not easily trained or easy to housebreak. It will be a good idea to invest in a training book or video. A class on training techniques is a good idea, too. Shih Tzus are harder to housebreak than other dogs but the poodle's intelligence may be inherited making training easier. 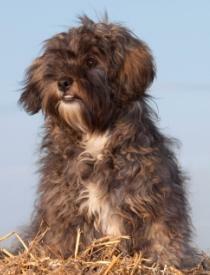 This breed may also inherit the hypoallergenic coat making them a nice dog for those with allergies. They will need exercise each day, although not as much as larger dogs do. A walk once a day is enough exercise for them. They will live up to 15 years of age. 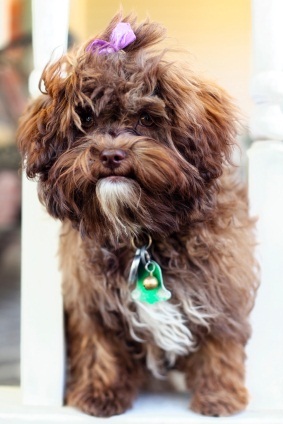 Your shih-poo will love you and be a loyal and loving companion as he goes from being a puppy to being an adult dog. Enjoy your designer dog as you go through the years together.